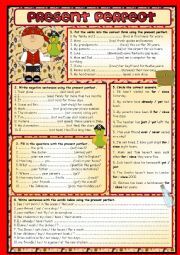 Keep students practising grammar structures. 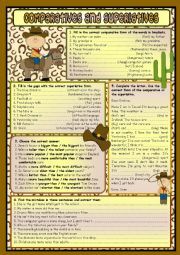 Now it´s the turn of the present perfect simple. Enjoy! Let´s start the week by revising the future with will. Hope you like it. Have a nice week!! Let´s practise the future tense with ´be going to´. Hope you find it useful. Have fun at the weekend! We´ll stop studying tenses for a while and we´ll focus on another grammar point. 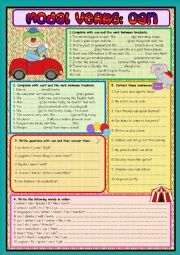 This worksheet covers the compatative (-er/more ... than) and the superlative (-est / the most ...) forms of adjectives. Hope you like it! 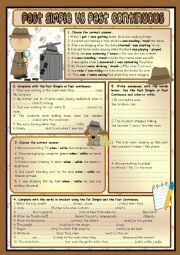 Five easy activities to practise the past simple of the verb to be. Enjoy your week!! 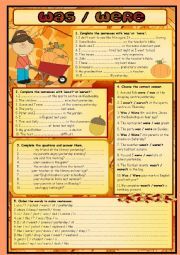 Here you also have some practice on the same topics (present simple and Halloween. 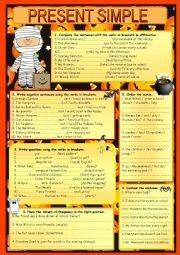 Hope you like this worksheet! 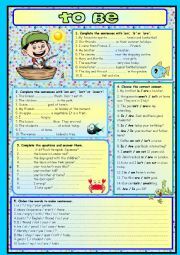 Five exercises to practise the modal verb ´can´. Hope you find it useful. Have a nice day! 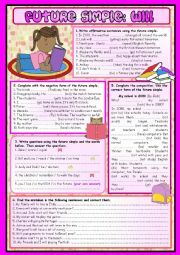 This is a reading comprehension worksheet. It consists of three exercises: 1) vocabulary of the text, 2) true / false activity and 3) open questions. It is better for pre-intermediate rather than elementary students. Happy Wednesday! Some activities, with different levels of difficuty, to review past tenses. Hope you find it useful. Have a nice week! 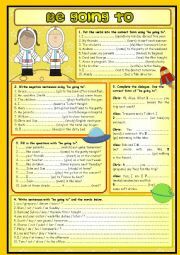 Some activities to practise the verb ´to be´. Hope you like them. Have a nice week.